Built in 2008 by Couach Shipyard, she has recently completed a cosmetic refit and she look more beautiful than ever. M/Y NYOTA boasts sophisticated warm interior and well-appointed extierior areas, the open layout salon on the main deck creates a genuine feeling of space and offers incredible panoramic views from large windows. She accomodates up to 8 guests in 1 full beam Master cabin, 1 VIP cabin situated on the main deck, 1 double and 1 twin. 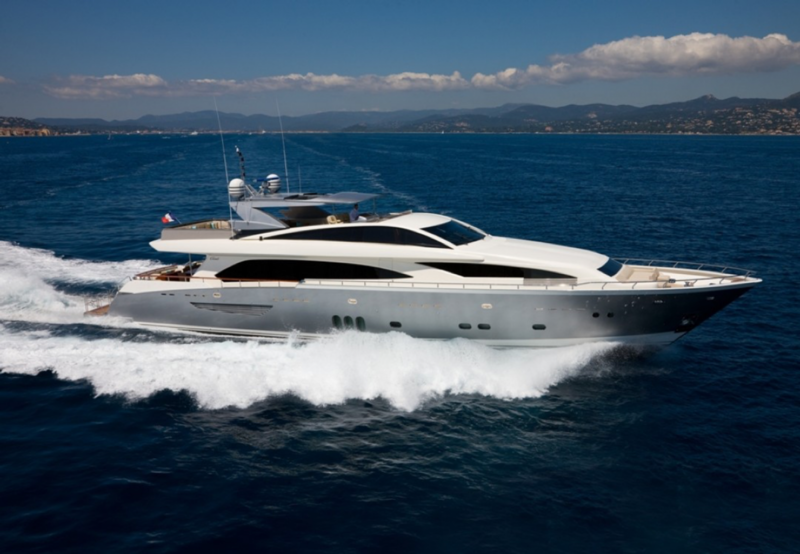 Based in Cannes and available from May 15, MY NYOTA is the perfect yacht to have an unforgettable charter experience.